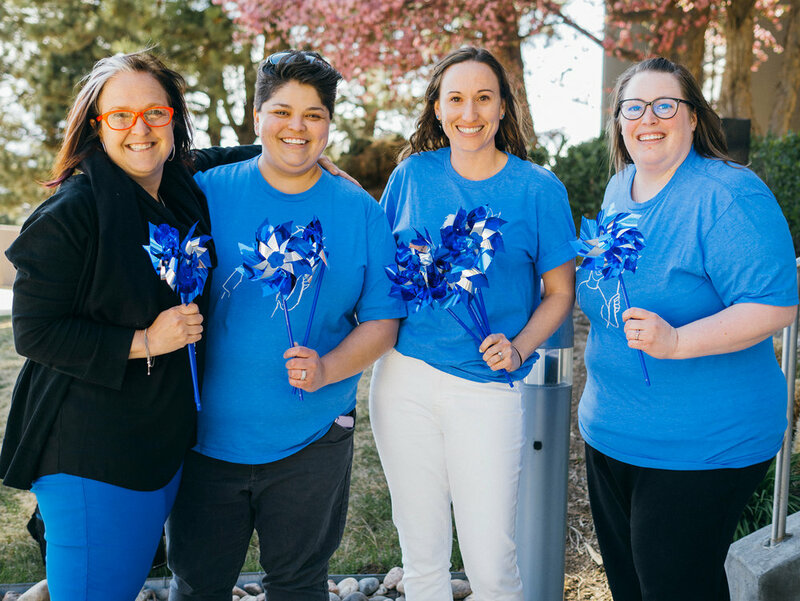 The Kempe Center for the Prevention and Treatment of Child Abuse and Neglect, on behalf of Colorado’s Child Welfare Training System (CWTS), began participating in Child Abuse Prevention Month in 2014. 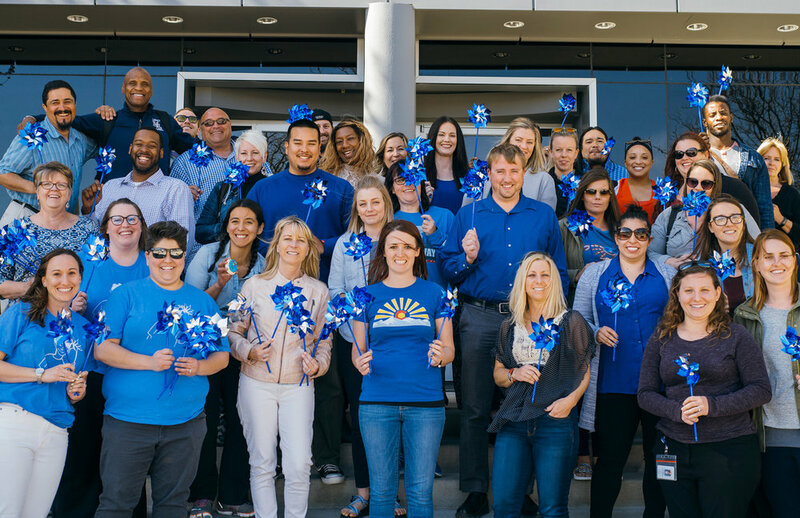 Each regional training center plants a pinwheel garden in their lawn, and staff make marketing materials openly available at each training center for visitors to easily access information about child abuse prevention. Additionally, community members from each region (including county child welfare staff, law enforcement, fire departments, child advocacy centers, and local government) come together in blue to form a living CAP Month image each year. It really is a tribute to collaborative community partnerships! Last year, the southeast regional training center’s event was such a big hit, it was featured in the local news!